It takes several minutes for a standard oven to preheat to the correct temperature, which is important to keep in mind when baking. A standard oven uses a heating element, sometimes two, to raise the internal temperature of the oven. A standard oven is a kitchen appliance fueled either by electricity or by gas that is used to heat and bake foods. It consists of a metal box with a heating element in the bottom and, sometimes, at the top. As the element heats, it radiates throughout the oven, raising the temperature. A standard oven is different from a convection oven in the way that heat is circulated. Therefore, a standard model is also sometimes referred to as a conventional oven. 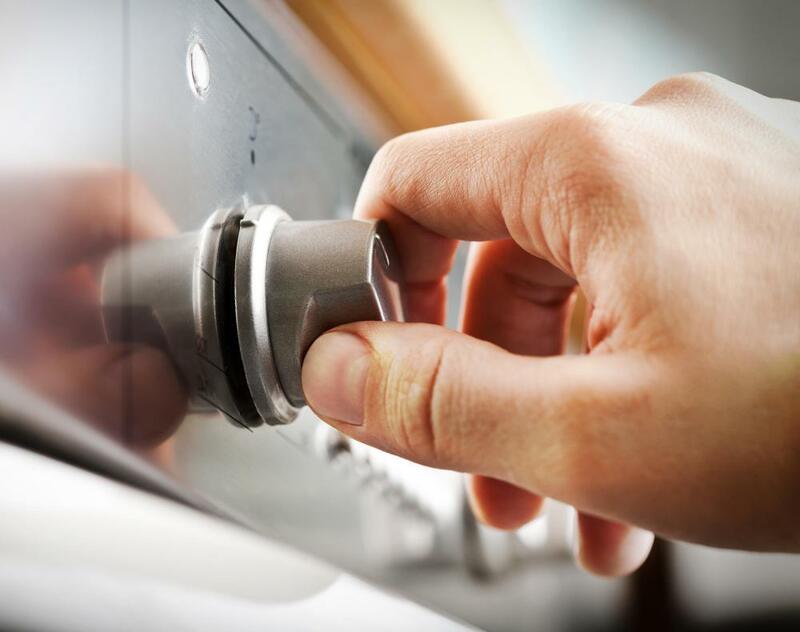 The user should be able to control the temperature of an oven via knobs or digital readouts. The front side of a typical oven is a door through which an individual can place or remove dishes from the appliance. A light inside the oven may also allow one to see through a window in the door. That way, an individual can check on the food inside without opening the door and releasing heat. Usually, two or three racks are situated inside so that one may bake more than one item at a time. There is some debate about the standard oven versus a convection oven. While a standard model has heating elements such as coils, a convection oven has these elements as well as a fan to circulate the heat emitted from the coils. For this reason, a convection oven may cook foods faster and more evenly than a conventional oven can. It is common for standard ovens to take several minutes to preheat to the correct temperature. Depending on the accuracy of the oven’s temperature gauge and the efficiency of a particular model, cooking times may seem slow in comparison to a convection oven. Sometimes, baking could take longer than a recipe calls for. Food cooked in a standard oven may not cook through at the same rate; when the top of a dish looks browned and ready, the middle or bottom may not yet be done. Another drawback of the standard oven in relation to the convection oven is energy use. 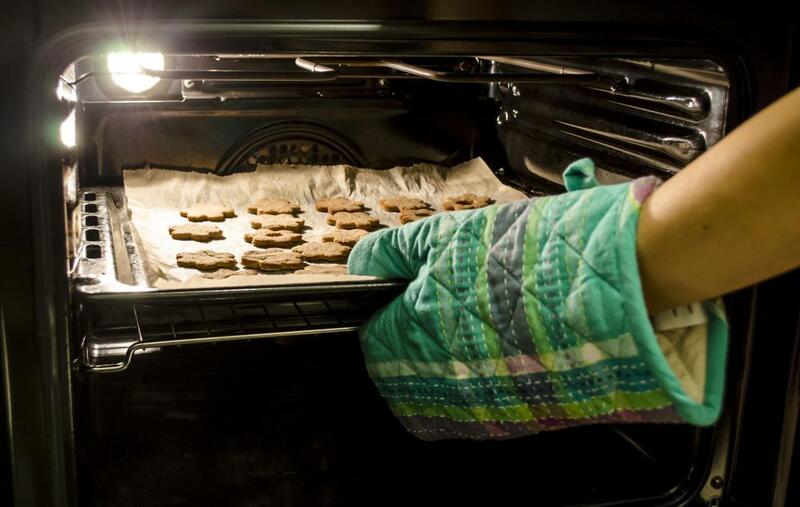 A conventional model often uses more energy than a convection oven, which requires less time for baking. The standard oven uses more gas or electricity to power, making it more expensive to use. A standard oven does have its advantages. Though the convection oven has been manufactured since the 1970s, conventional ovens are more commonly found in households. Many recipes on product boxes are tested using standard ovens because they are so prevalent. Therefore, individuals who have become used to baking with a standard oven may find switching to a convection oven difficult. What is a Cooker Thermostat? What is a Downdraft Oven? How do I Choose the Best Electric Oven? @raynbow- If you are on a tight budget and want to save money on a standard oven, you may even want to consider buying a used one. You can find them at thrift shops, yard sales, and even appliance supply stores that sell used appliances. You will pay a lot less than you would for a brand new appliance, but you can still get a reliable oven that will last for years. @raynbow- I really don't think that the cost of most appliances has much to do with the reliability of them. For example, I have a very basic washing machine that I didn't pay much for, and it has been reliable for many years. On the other hand, I have a friend who bought the latest, most expensive model just a few years ago, and she is already have mechanical problems with it. I think that the same philosophy hold true for ovens, however, you should make sure that you protect your investment even if you get a good deal on it. Even if you decide to buy a very inexpensive standard oven, you should get a warranty that covers it for 3 to 5 years. Though you may have to pay a little extra for the coverage, you will be glad that you did if you run into issues with your oven that requires a repairman. I have never bought a new standard oven, but I am shopping around for one. To get the best deal, do you have to spend a lot of money? I don't want to spend a lot of money on the oven, but I also want it to last. Do the inexpensive standard ovens hold up as long as the costly models?